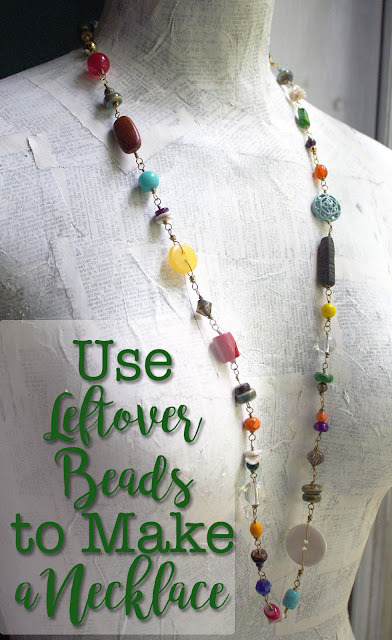 Making jewelry doesn't have to be hard or intricate. Having a fun accessory can be as easy as wrapping some buttons on a bangle. I'm a sucker for using what I have. If you made a resolution over the last few days to not spend any money, use what you have, and be good to the environment; this simple project is perfect for keeping those goals. Making these bangles takes only some buttons (with holes), wire, and a bangle. 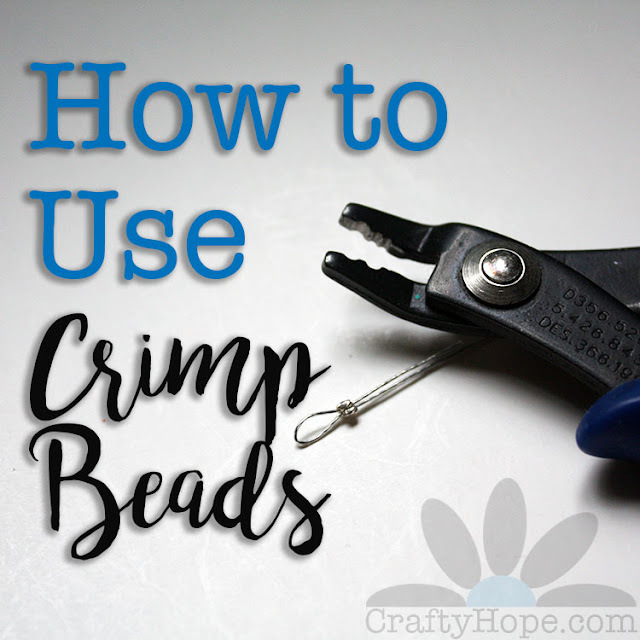 Most crafters should have the buttons and wire on hand, and old bangles are easy to find at thrift stores. Wire cutters and flat nose pliers help the process. However, with this thin of a gauge of wire, sturdy scissors should cut just as well. And, the pliers could be supplemented with firm pressing of a fingernail (and care not to poke oneself). Also note, that we're using holed buttons for this bangle, NOT shank buttons (ones with a loop on the back). Those just don't work the same. 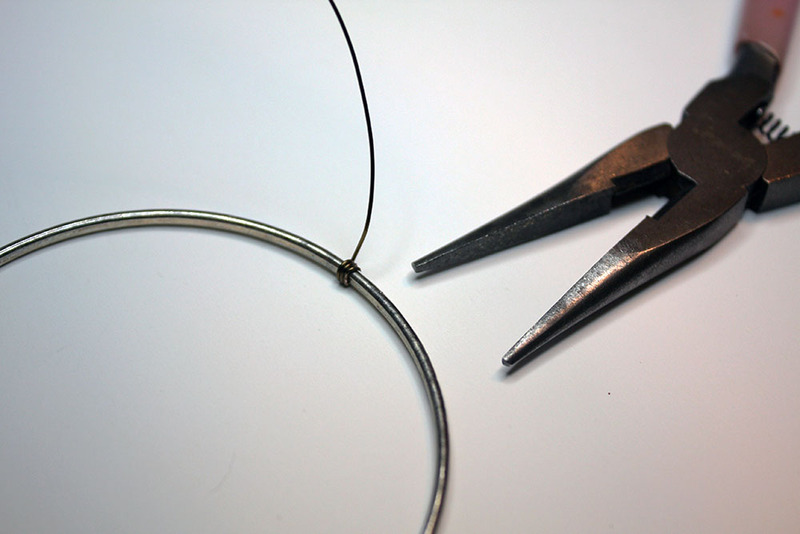 Start by wrapping a small section of one end of the wire tightly around the bangle. Secure the end by pressing it flat against the bangle. 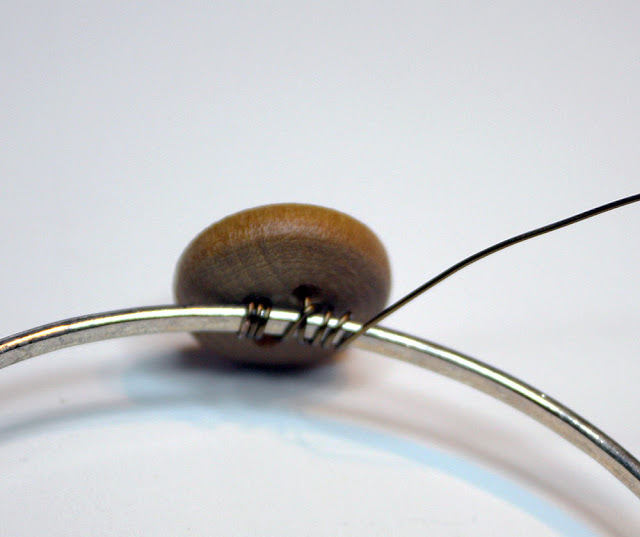 Insert the free end of the wire into the back of one of the button's holes and pull the button flush against the bangle. Push the wire end into the hole diagonally across from your starter hole. Pull the wire tight toward the bangle. Wrap the wire around the bangle, and insert it into the hole on the other side. If you are using a 2-hole button, simply insert the wire into your starter hole. Pull tight. The wire should be coming out the top of the button now. For a 4-hole button, insert the wire end into the open hole. For a 2-hole button, simply pull it through the other hole. You should have formed an X on a 4-hole button or . . .
a double slash on a 2-hole button. Your wire should be coming out the back of the button, toward the bangle. Wrap the wire around the bangle several times. 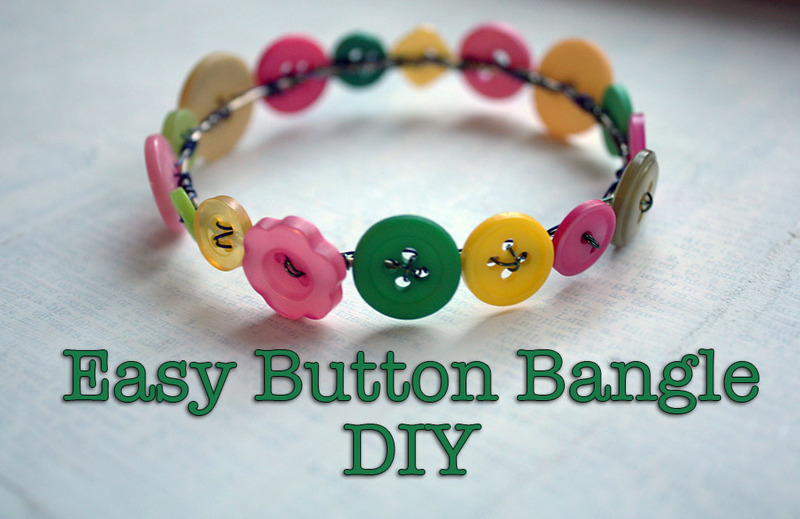 This will help secure the button and add some space for the next button on your bangle. Repeat the above steps, making sure as you add each new button that it's sitting next to the previous one and not on top of it. (Unless that's the look you're going for). Continue adding buttons until you cannot add any more. 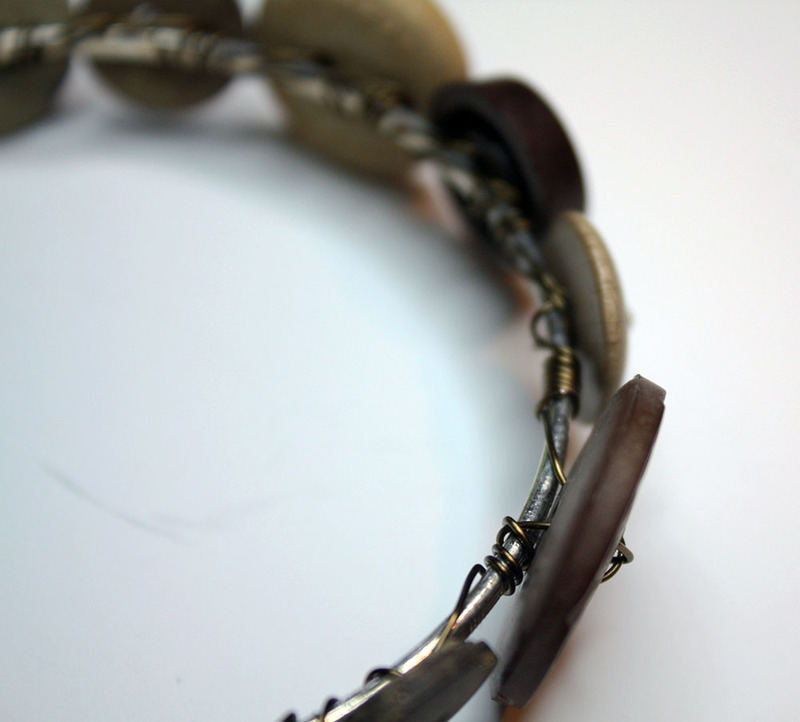 Wrap the wire around the bangle several times next to your final button. 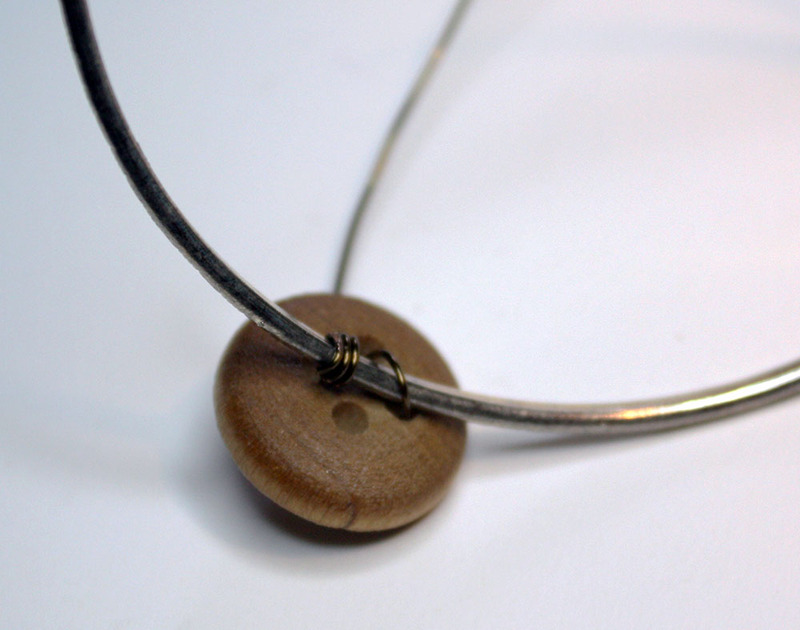 To finish, weave the wire around the bangle, in between the buttons for several buttons. Trim and secure the end of the wire. And, that's it. Now you have a beautiful button bracelet! I actually made the one in the title image at the top as part of a video so you can watch the process for yourself if that works better for you. As well as these basic instructions, the video includes information on what to do if you run out of wire and how to fix it if there's too much space between the buttons when you finish. These bangles are quick and easy to make once you get used to the process. They're so easy, you'll have an armful made in no time. . . and one for every outfit. Enjoy! Please don't hesitate to let me know if you have any questions about the process. I'm happy to help. I linked this post up at Coastal Charm's Show and Share & The SITS Girls' Recipe and DIY Linky. Super cute, Hope! I'm especially taken with the wooden button bangle. Thanks for share this tute! Hi Hope! This is a fantastic idea and it looks super easy! I love it! Thanks for posting! I love the wood button bangle. Thanks for the great tutorial!